S55-equiped cars are incredibly well sorted from a cooling standpoint. Even in a road course environment with extremely high ambient temperatures, the S55 engine tends to operate beautifully, with consistent oil and water temperatures. 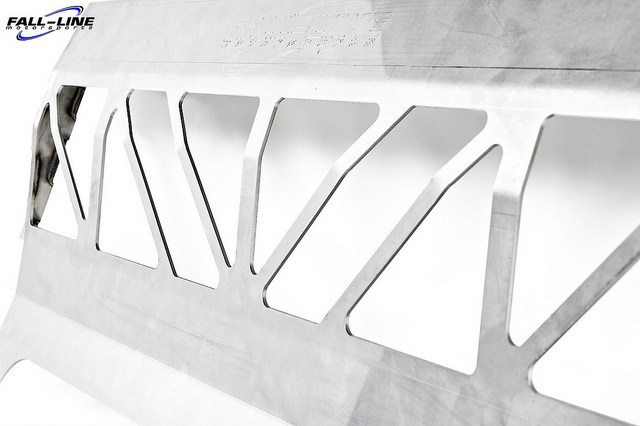 Although excellent ducting, good core design, strong fans, and other factors all play in to how well a cooling system works, there are ultimately two factors which cannot be circumvented—you must have enough heat exchanger surface area, and you must have enough heat exchangers. These constraints have left the S55 with a “fatal flaw”—the engine’s oil cooler is precariously exposed. A direct impact to the oil cooler can have catastrophic effects, draining the S55 of all of its oil in seconds, a dire fate that several owners have experienced in a painfully direct way. 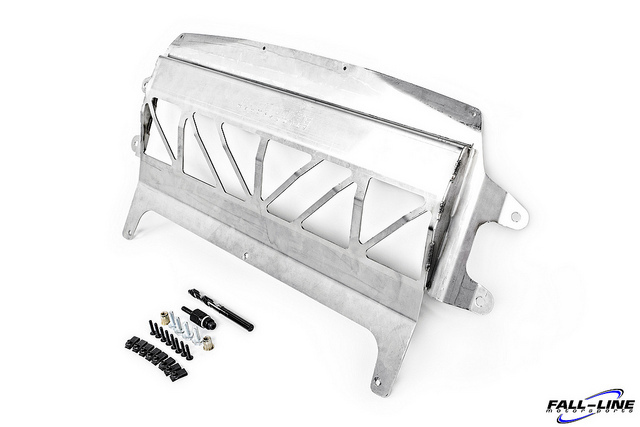 In response to this, Fall-Line Motorsports has developed a robust oil cooler guard, specifically designed to shield the S55’s oil cooler from large road debris and prevent much more costly damage. 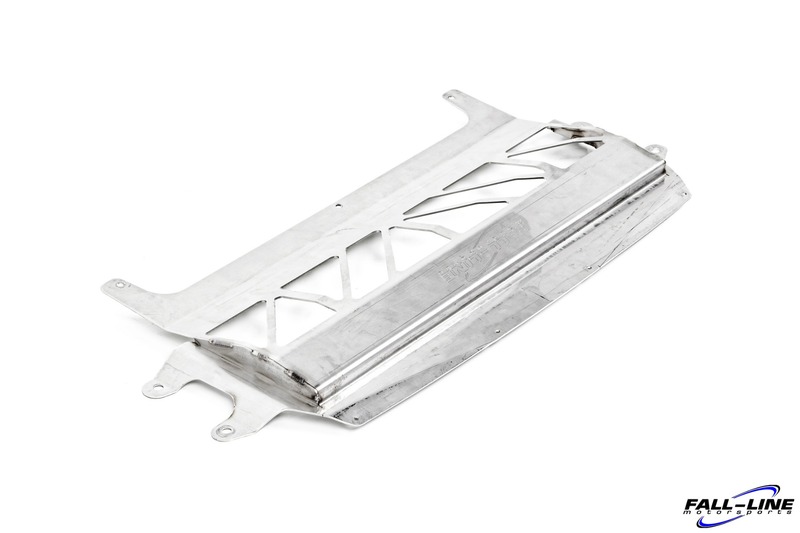 For the best real-world protection, the S55 oil cooler guard is constructed from a thick stainless steel plate and fastens directly to existing frame members to help spread the impact load across strong structural components. 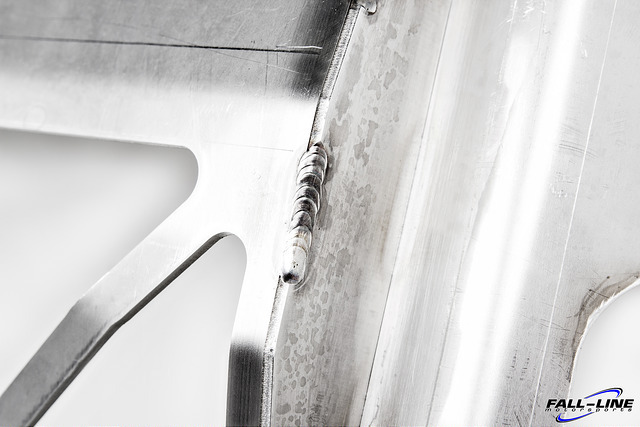 As an acknowledgement of BMW M’s aforementioned air flow engineering, special care was taken to ensure that the opening in the oil cooler guard matched the shape and size of the existing BMW oil cooler air outlet.